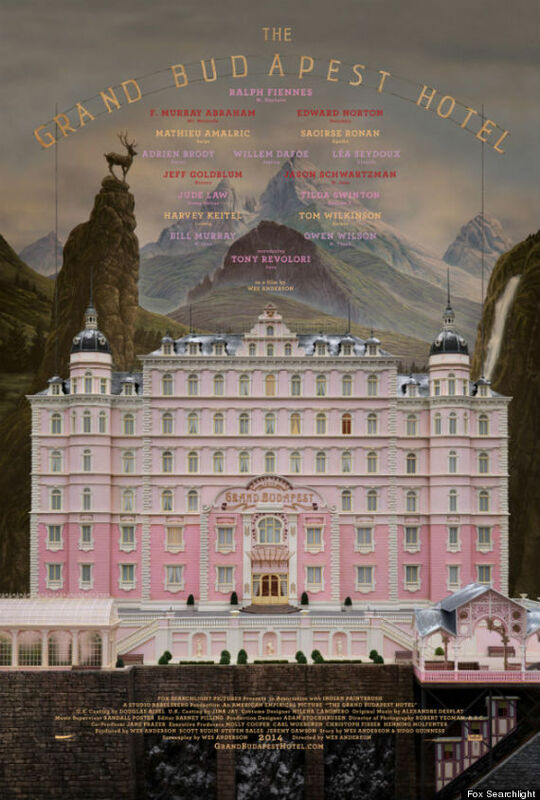 The Grand Budapest Hotel by Wes Anderson was the most anticipated movie of 2013. From the beginning I was sure The Grand Budapest Hotel gonna be perfect because Wes Anderson is an exceptional director and he never disappoints. 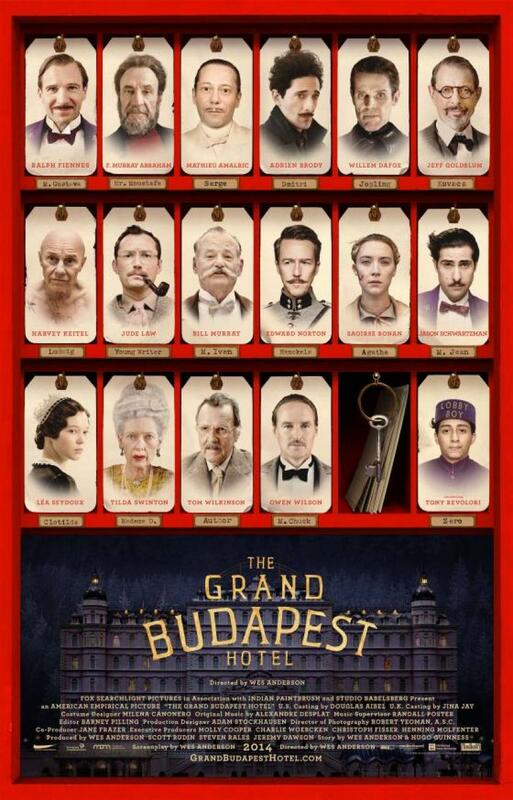 So finally I saw the most anticipated movie “The Grand Budapest Hotel” after 1 year of wait. I knew Wes Anderson never disappoints and he has surpassed my expectations. Just look at the cast, how much talented the cast is: Ralph Fiennes, Bill Murray, Jason Schwartzman, Adrien Brody, Jude Law, Tilda Swinton, Owen Wilson, Harvey Keitel, Willem Dafoe, Edward Norton, F Murray Abraham, Tony Revolori. These are called real actors unlike phony popular so called actors. I think it was the best cast in a single film. The main characters of the movie were Ralph Fiennes (Monsieur Gustave H) & Tony Revolori (Young Zero Moustafa). Both character’s acting was sublime. On a funny note, you both are made for each other. I must admit that everyone’s acting was majestic, PERIOD. 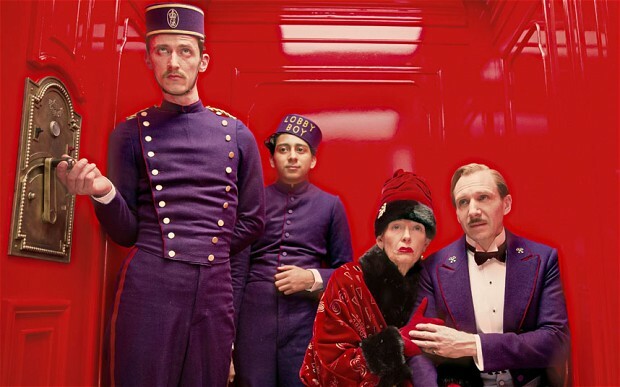 The best surprise was Tilda Swinton’s character as Madame Céline Villeneuve Desgoffe-und-Taxis (Madame D.). What have they done to her in this film was really hilarious. She has changed from Caravaggio days. Yes, Derek Jarman’s art film “Caravaggio” & all other Jarman films. And how can I forget her performance in “Only Lovers Left Alive” with John Hurt. Edward Norton as Inspector Henckels looked really different from his other movies. Adrien Brody as Dmitri Desgoffe-und-Taxis was rad too. Don’t forget wicked English accent of Jude Law (The Author as a Young Man). I think Wes Anderson has surpassed his previous already perfect films with this glorious film. The Grand Budapest Hotel is cinema’s victory and here comes standing ovation from my side for Wes Anderson and every one who worked for the success of this masterpiece film.